A new Code of Practice which includes labour rights issues at sea will help hotels check their seafood supply chains. Human Rights at Sea has announced its close involvement in the Steering Group for the development of the Publicly Available Specification (PAS) 1550:2017, which concerns a new voluntary Code of Practice for due diligence and fair working practices in the fisheries sector. The document's full title is PAS 1550:2017 Exercising due diligence in establishing the legal origin of seafood products and marine ingredients - importing and processing - Code of Practice. Human Rights at Sea - a charitable organisation - worked alongside 15 other stakeholders including the British Retail Consortium (BRC), ClientEarth, Environmental Justice Foundation (EJF), FishWise, Food and Drink Federation (FDF), Lovering Foods Ltd., Marine Management Organisation (MMO), MRAG Ltd., Oceana, The Pew Charitable Trusts (Pew), Seafish, UK Seafood Industry Alliance, Tesco Stores Limited, Wm. Morrison Supermarkets plc and WWF. As a Code of Practice, this PAS takes the form of guidance and recommendations. It incorporates labour issues and considers illegal treatment of crew on fishing vessels to be linked with illegal fishing. It's long been recognised that the industry - including shrimps and prawns and the canning of tuna - has human rights issues for employees. One of the aims of this PAS is to help enable decent working conditions to be provided not only on board vessels but at all factories, work stations and during all activities throughout supply chains. The PAS builds on the BRC Advisory Note for the UK supply chain on how to avoid Illegal, Unreported and Unregulated (IUU) fishery products, which was published in February 2015, by including in addition, aspects of traceability as well as social elements. 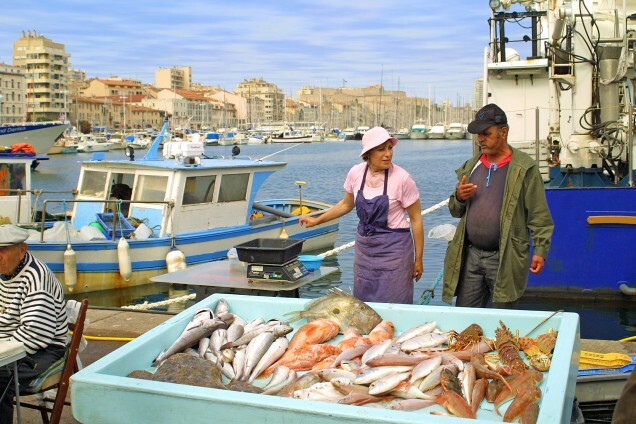 The PAS is aimed at processors and importers and gives recommendations on: the considerations within a due diligence system in order to minimise the risk of IUU seafood in the supply chain; the considerations to minimise the risk of a lack of decent conditions at work in the supply chain; and what traceability systems are used to deliver the ability to verify the claim. Ensuring suppliers are aware of and are adopting the PAS will help hoteliers ensure their seafood supply chain is free of human rights issues. A PAS is a document that standardises elements of a product, service or process. PASs are usually commissioned by industry leaders - be they individual companies, SMEs, trade associations or government departments. The PAS was developed with the financial support of the Environmental Justice Foundation (EJF), Oceana, The Pew Charitable Trusts (Pew) and WWF) Its development was facilitated by BSI Standards Limited and it was published under licence from The British Standards Institution (BSI). It came into effect on 31 July 2017. It's possible to request a free copy from this website. Talking Point: Could your kitchen fats, oils and greases boost the circular economy? Restaurant kitchens face continuous drainage problems, so hotels need to be more aware of how they dispose of their fats, oils and greases. Michelle Ringland, head of marketing at drainage specialist Lanes Group wonders whether hotels can find fats, oils and greases (FOG) solution that’s also eco-friendly. Every year, drainage firms are called to deal with thousands upon thousands of blockages. There are many reasons for these occurring, but the most common cause is when FOGs are poured down drains. These congeal, solidify and eventually block the pipe - both in drains underneath the premises and along the streets in the sewers. Sending out companies like ours to deal with drainage and sewer issues caused solely by blockages costs water companies, with bill payers having to cover the extra expense. By virtue of the fact that commercial kitchens deal with such large quantities of oils and fats, it’s particularly crucial that hotel catering staff know exactly what to do with the waste product. But today there’s an eco-friendly solution that even helps hotels play a part in a more circular, sustainable economy. Concerned that kitchen staff often lack the knowledge of how to deal with FOGs properly, we asked 60 drainage engineers, from a mixture of Lanes Group and other firms, about their experiences of dealing with the hospitality sector. Almost all of them (94%) told us they’ve been called out to clear blockages caused by FOGs. Half said that they deal with issues in restaurants several times a week, while 70% said that staff members’ lack of knowledge was the biggest issue. Even when oils are hot, they can still block drains. It’s a misconception made by many, but once the oil cools down it hardens and won’t budge without expert intervention. Putting improved signage around kitchens is a small but important step hotels can make to help reduce blockages. It’s all about modifying people’s behaviour. ‘Fashionable healthy alternative’ oils such as coconut oil are just as harmful to drains as traditional cooking oils and fats, despite what’s sometimes claimed. It’s something that we’ve found many people in the sector seem to forget. It can be daunting, especially for smaller businesses, to know how to get rid of waste oil - especially if there’s a lot of it from fryers. Fortunately, it’s now possible to simply have it collected for disposal. Services like Uptown Oil collect used oil from your hotel and turn it into biodiesel. Their customers receive a certificate showing their contribution to carbon reduction and cleaner air. They’ll even deliver new sustainable vegetable oil to your hotel, and they can show you ways to get 30% more use from your oils, reducing waste and making your oil consumption more economical and sustainable. The biodiesel they create can be used in most diesel vehicles and unlike fossil fuels, it doesn’t add CO2 to the environment. By partnering with a company that converts used oil into biodiesel, hotels are helping the environment and contributing to circular economy. Some companies also provide safe containers to store the oil before they pick it up. In the UK the Environment Agency will be able to let you know which services are available in your area. Make sure you’re providing the right facilities so your staff can easily dispose of fats and oils. Some 62% of the engineers we asked pointed out that a lack of appropriate facilities often leads to major drainage problems, and many suggested installing grease traps to combat the issue. Grease traps intercept FOGs before they manage to settle in drains, separating the water from all of those substances you don’t want to go down the pipe. They should be maintained regularly to ensure they’re working well – you’ll probably be shocked by how much oil, fat and grease they collect. Don’t forget, it’s not just fats, oils and greases that can block drains. Solid food is also found to be a common culprit, so make sure every sink has a strainer. If you have floor drains, remember to never brush excess food down them - it all ends up in the same place after all!